Hurricane Florence: Will Pittsburgh Feel The Storm? Hurricane Florence could bring an inch or two of rain to the Pittsburgh area early next week after it pummels the Carolinas. 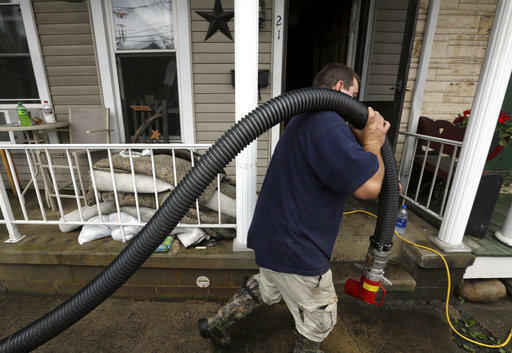 Five days of relentless downpours have left central Pennsylvania a soggy mess, closing roads and businesses, sending creeks and streams spilling over their banks and requiring rescues and evacuations. Firefighters helped people escape their flooded neighborhood near Hershey on Wednesday morning, and search crews have not been able to find a woman swept away Monday night while crossing the rain-swollen Conewago Creek near Elizabethtown. 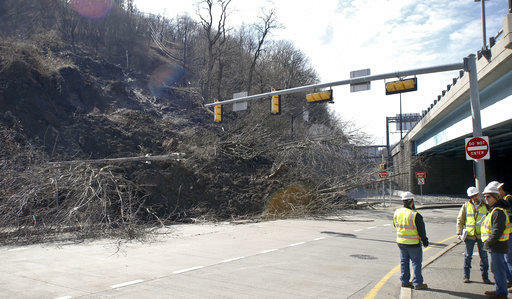 Route 30 near East Pittsburgh had been buckling for weeks under the stress of continued rain and snow until it finally collapsed on Saturday. A recent onslaught of rain will continue sporadically this week in the Pittsburgh region. The city and some surrounding counties are under a flash flood watch until 2 a.m. Wednesday, due to a hazardous combination of melting snow, steady rainfall, rising rivers and possible icy thunderstorms. It's not actually spring, but Pittsburgh's warm and rainy winter has made it hard to tell. 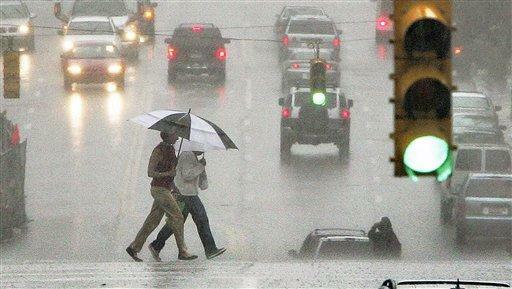 The Pittsburgh area has broken a monthly rainfall record that dates back to the 19th century. The National Weather Service said Sunday that the 6.68 inches of rainfall during February at Pittsburgh International Airport breaks the old monthly record of 6.52 inches "set all the way back in 1887." 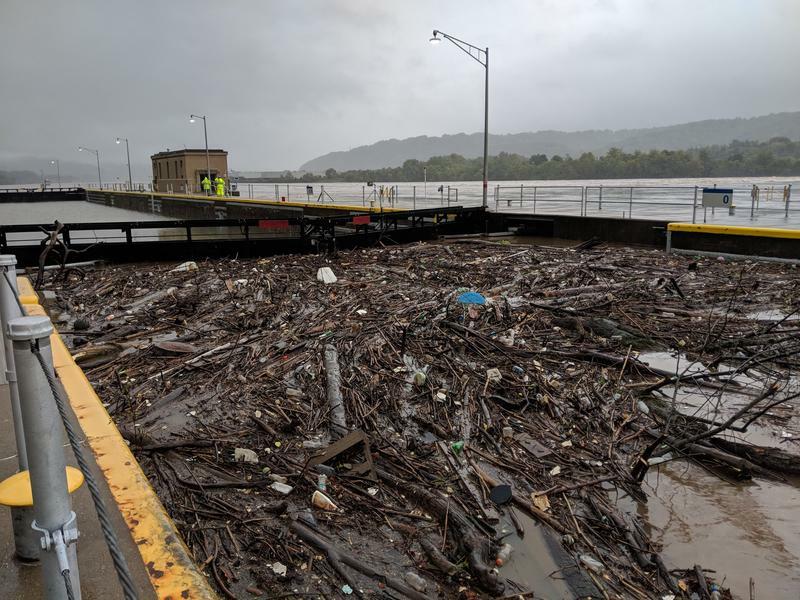 Allegheny County officials said Sunday that river levels were expected to rise throughout the day, but forecasts for river crests were lowered. Flood watches remained in effect and an approaching cold front is expected to bring high winds. A landslide in a Pittsburgh neighborhood has destroyed a house, forced the closure of a road and knocked out electricity to adjacent neighborhoods. 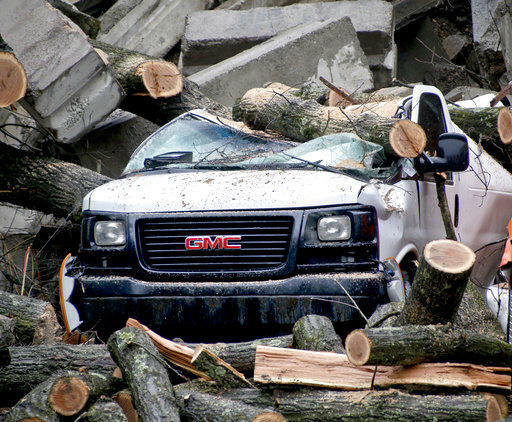 The city says the landslide in the Duquesne Heights neighborhood worsened Sunday afternoon, pouring over a retaining wall and closing a section of roadway. Officials say a house that was evacuated Friday evening "is now destroyed." The city says the owners were able to retrieve some essential belongings on Saturday. March is coming in like a lion for most of Pennsylvania, with severe weather moving across the state and bringing everything from tornado warnings and hail to flash-flood watches and thunderstorms. After nearly a year of study and work from water suppliers, state officials, environmental groups and others, a plan has been announced to protect drinking water from its source – the rivers. The River Alert Information Network (RAIN) announced the Lower Allegheny Regional Partnership and the Lower Monongahela Regional Partnership. It’s a consortium of water suppliers which, in addition to protection, will employ an early-warning spill detection system.